“They were wrong, and they are smarting over that, trying to find north and recalibrate,” he said. Tensions inside the government flared into the open last month when Xu Zhong, the research director of China’s central bank, published an essay rebuffing calls to bolster the economy by issuing more money. He castigated the Finance Ministry instead for a “dearth of effective fiscal policies,” referring to extra government spending and tax cuts. Soon afterward, the cabinet ordered more infrastructure spending to shore up growth. In the past week, the central bank has also pumped tens of billions of dollars into the economy and driven short-term interest rates down sharply. Presented with a choice of fiscal or monetary stimulus, the leadership in effect avoided making a decision by choosing both, despite the risk of exacerbating the nation’s budget deficit and chronic debt problems. 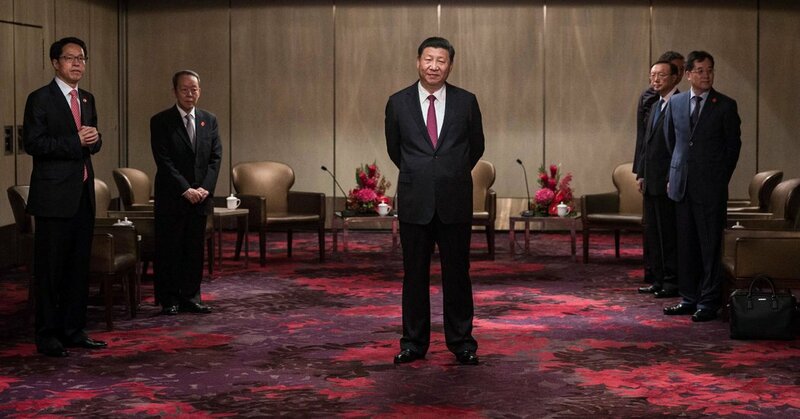 Mr. Xi is presumably at the center of such decision-making. He has surrounded himself with officials who built their careers in part on their ability to deal with the United States and who might be damaged politically if the trade war goes badly for China. They include Wang Huning, the party’s chief ideologue, who helped craft the propaganda message trumpeting China’s rise that is now being criticized in China for alarming the West; Vice President Wang Qishan, Mr. Xi’s most powerful lieutenant, who appears to have distanced himself from trade policy in recent months; and Liu He, the Harvard-trained vice premier handling the stalled negotiations with the United States. The leadership can still divert criticism by blaming the United States. So far, it has not ratcheted up anti-American propaganda beyond the usual volume nor encouraged protests or boycotts of the sort directed at Japan in the past. May 18, 2018 Comments Off on Facebook-linked Cambridge Analytica files for bankruptcy in U.S.